This week was filled with a lot of great stuff. There is a whole post on why you should sot your own fretboards, which will help you make custom guitars. 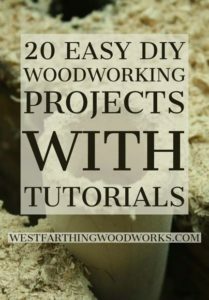 Also, an enormous post of 20 DIY woodworking projects, with tutorials. 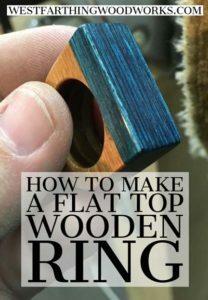 Finally, a tutorial on how to make a flat top wooden ring. Enjoy. 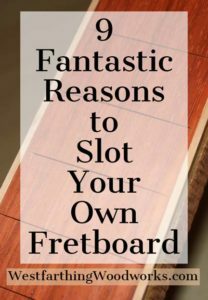 In 9 Fantastic Reasons to Slot Your Own Fretboard, you will learn why it’s important to your guitar making future to learn how to slot a fretboard. It’s easier than you think, and I’ll show you everything you need to know. Making guitars is all about making all the components. You can buy some of them in the beginning, but over time you really need to learn how to make everything. A fretboard is a great first project, because even though you can buy them, when you make them, you have a lot more choice. This is great, because you can use any piece of wood you want to make an excellent fretboard. 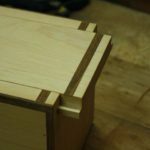 I also show my fretboard slotting jig, which is worth the read right there. This is a huge post. 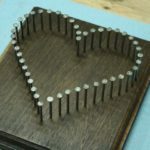 These 20 DIY Woodworking Projects are sure to get you excited to make some sawdust. Sometimes, all you need to see is the perfect project, and you will be filled with motivation. That juice gets you going, and gets you learning. All of these projects are fun. 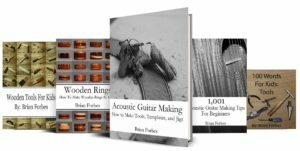 They are all very popular on my site, and they will teach any new woodworker some valuable skills. They are also diverse. There are instructions for making a kitchen helper, wooden beads, a lacing toy, cutting boards, and wizard wands. You are sure to find something that you like, and it will be even more fun when you make it. 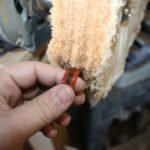 This ring making tutorial for Making a Flat Top Ring is a quick woodworking project, and you probably have everything you need right in the shop. Most rings are round, but this one is not. It’s a different take on the same jewelry piece, and in the end you have a ring that will make a statement for sure. Make sure to pick out a really nice looking piece of wood for the top. This is the focal point, and you should spend a couple dollars more if you need to. 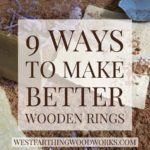 The wood pieces are really small for making wooden rings. You can buy something that is more expensive without really spending any more than a couple dollars anyway. Full tutorial, enjoy. 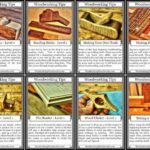 If you have any questions about Westfarthing Woodworks Post Review 12/5/2018, please leave a comment and I will be glad to answer them. Happy building.